Leadership is an activity, not a position. Successful business leadership is about being humble and smart, attracting support, managing risk, maximising activity and creating an environment in which the success of others becomes inevitable. 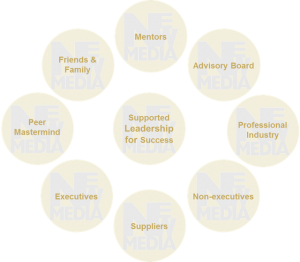 The leaders of NMBG companies are passionate about helping you to make your success inevitable. Faster, at lower cost and with fewer mistakes. We offer advice or do it for you. The NMGB model of successful business leadership can be applied to the smallest startup with the least funds as well as the largest infrastructure projects. It is a way of thinking and behaving that guarantees above average success. It is the way we lead and manage our own businesses. It is how you can expect the leaders of our group companies to engage with you to help you make your vision of success real.